Top Gun remains one of the biggest and most influential films of the '80s. As the movie that truly launched Tom Cruise as a big budget mega-star, the sequel has been tossed around for years. 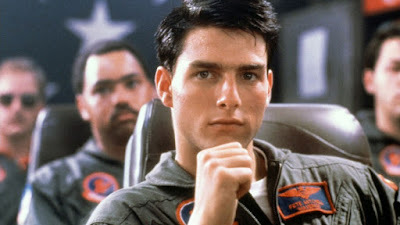 Now, the continuation of the Top Gun story is finally seeing the light of day as the feature finally got a start today. Production is finally underway on a sequel that's expected to be called Top Gun: Maverick. While no specific plot points have been officially been released, the movie is expected to see Maverick take over in the training role as he leads a new crew of hot shot pilots. The film is being directed by Joseph Kosinski. The two previously worked together on Oblivion. Prior to his untimely death, Tony Scott was working on the sequel and would have returned to the director's seat. Tom Cruise also put out this Tweet today.